John “Jack” Cowdry, the author’s grandfather, first came to my attention in L.V. Kelly’s Alberta ranching chronicle The Range Men (1913). The Cowdry brothers were the first bankers to set up shop in Fort Macleod in the handshake days of 1886–1905, after which they sold the business to an eastern mega-bank. Here J. Edward Chamberlin—author of 2003’s If This Is Your Land, Where Are Your Stories: Finding Common Ground—zooms in to a close up of events in the lives of Jack Cowdry, his friend the Kainai chieftain Crop Eared Wolf and other fascinating characters from Jerry Potts to Kamoose Taylor to Sam Steele and Red Crow, all familiar personae to devotees of frontier history in southwestern Alberta. Jack Cowdry arrived in Fort Macleod on the heels of the Riel Rebellion, and found Inspector Francis Dickens, son of Charles Dickens, “…standing at the bar and asking for ‘something quick at taking hold and slow at letting go.’ ” He witnessed the Kainai people, in all their finery, come to town to spend Treaty 7 money. It was a time of fluid change and complicated social relationships between white folks and Blood warriors, when a man—D.W. Davis—might start out as a whisky trader hunted by the NWMP in the 1870s and finish as the region’s first member of Parliament, in 1887. 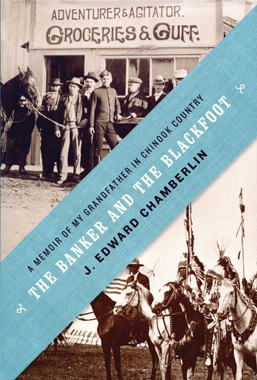 Chamberlin has a unique perspective on frontier history and Blackfoot culture, through family connection and through his work with the Royal Commission on Aboriginal Peoples and on Indigenous land claims. 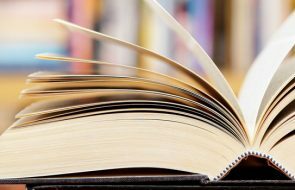 Although the author focuses on his grandfather’s life, an important part of the book deals with Blackfoot history and culture, from buffalo days to Treaty 7; from rapprochement to broken promises leading to starvation and the residential school fiasco. Throughout, the author reminds us that we are all Treaty People, white and Aboriginal alike, and shows how the stories and rituals the Blackfoot people hand down through the generations are the thread that sews the culture together in the face of colonialist narratives of superiority. With the make-them-white-men faction on the ascent during the 1896 federal election, Jack Cowdry and friends, including Big Swan, a Peigan chief, launched a satirical paper, The Outlaw, which skewered Grits and Tories with equal abandon. It seems that political satire in Alberta did not begin in 1903 with The Calgary Eye Opener; it was born on the Piikani reservation, at Big Swan’s stage passenger depot, six years earlier. At places in this book the editing lacks rigour. I would have taken a lancet to the author’s attempts to get into the mind of Blackfoot horses, while his attempt to reconstruct the irascible interpreter Potts by the light of Marshall McLuhan had me wondering what Colonel Macleod thought of that worthy’s skill. On the other hand, if not for Potts the cops might still be wandering around Montana looking for the Oldman River. All in all, this is a passionate and well-informed look into the heart of Alberta’s Golden West, and into the hearts of the white and Aboriginal leaders whose impact on events in that era still resonates today. —Sid Marty writes non-fiction and poetry. His most recent book is The Black Grizzly of Whiskey Creek (M&S, 2008).